Being where the action is has its benefits. A young woman was sweeping the lobby of the Park Hotel in the SoMa section of San Francisco, the neighborhood south of Market Street. The lobby had muted green walls with benches that looked ripped out of a diner. It wasn't truly a hotel, rather it was affordable housing with shared bathrooms. As she continued sweeping, she noticed a photographer snapping a picture. Over 35 years later, the resulting photo appeared as part of a photo series on the gentrification of SoMa. Since that time, San Francisco, and SoMa in particular, has gone from impoverished to unaffordable. Office space in the formerly rundown SoMa neighborhood now rents for an average of $72.50 per square foot (matching pricey Manhattan), and studio apartments sell for an average of over $1,200 per square foot, which means that a small 450-square-foot studio costs more than $540,000, which is enough to buy a McMansion in many suburbs. As for the Park Hotel, it has turned into a techie commune where aspiring entrepreneurs and software engineers can rent minuscule rooms for $1,000 per month. So, why are people moving there in droves? Somewhere along the way, SoMa turned into one of the epicenters of the startup industry. In its immediate vicinity, you'll find the headquarters of Twitter, Salesforce, Pinterest and Zynga, as well as offices for major companies including Google, Yelp and Adobe. As more and more tech companies migrate to the neighborhood, more people seem to want to follow their path. Engineers want to be near other engineers. CEOs want to be near other CEOs. Sociologists call this effect clustering. For decades, Richard Florida, best known for his book The Rise of the Creative Class, has been studying the impact that density has on creativity. In one study, he and a research team studied over 240 different metropolitan areas, and compared the density of creative workers to the number of patents -- a reflection of the level of innovation. They found that as density increased, and creative people found themselves more tightly packed, the number of patents also went up. Florida explained to me how big this impact was: "Places with high degrees of creative density were six times more innovative than places with low levels of creative density." It wasn't simply about high numbers of creatives in one geographical area; to spur them to best innovate, you needed them right on top of one another. The reason has to do with what academics call knowledge spillover. This is the process by which ideas are shared among people and institutions as they meet, network and talk to one another. When an artist lets it drop to another artist that they have discovered a new technique, or a researcher mentions a new technology to an entrepreneur, the knowledge transfers -- or spills -- to another person in the network. In essence, the teaching process is ongoing and everlasting. Density is useful not only for finding teachers and mentors, but also collaborators. Says Florida, "In a great urban area, there are lots of talented people competing and collaborating, combining and recombining, forming and reforming with one another. Out of that very Darwinian process, out of that Darwinian profit motive, you begin to get great successes." For these spillovers to happen, face-to-face relationships are also critical. It's not enough for people to know each other. Close physical proximity means that you and I bump into each other at the corner coffee shop, or while we're waiting for the bus, which gives us ample opportunities for impromptu meetings. To become members of this environment, we are willing to pay premium prices to live and work in places like SoMa. Sure, the architecture is unique, and there are some historic buildings. But, the big driver is that the people we want to learn from live there. Membership in a cluster like SoMa is essential to finding a master teacher. Now, it goes without saying that not everyone can afford to move to one of these dense, overpriced areas. But, visiting, commuting or spending as much time as you can there is essential to accessing the teachers who can accelerate creative success. Once you find yourself there, the mechanism for finding teachers is straightforward: curiosity. Be like Wallach and ask questions; make it clear you want to learn. Successful people tend to admire this quality, and will be more willing to take you under their wing. If you're already experienced, find people who know something specific that you don't know and ask them questions. If you do this, you increase the odds of finding one or more master teachers, the first of the four necessary members of your creative community. These teachers will show you the patterns and formulas of your field so you don't have to start from scratch. They will also give you the feedback you need to master your craft more quickly,. The science of deliberate practice suggests that we all need to learn from someone more advanced than we are. But, it's not enough to just learn the craft; eventually we also have to create something. The next member of your creative community is essential for executing your ideas. 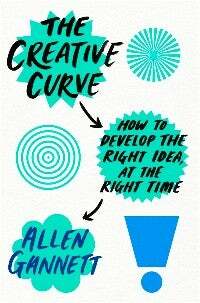 Adapted from The Creative Curve: How to Develop the Right Idea at the Right Time © 2018 by Allen Gannett. Published by Currency, an imprint of the Crown Publishing Group, a division of Penguin Random House LLC.